South Korea's financial watchdog on Sunday said 32 big local firms should carry out restructuring, a move that could be aimed at keeping financially troubled companies from further hurting Asia's fourth-largest economy. 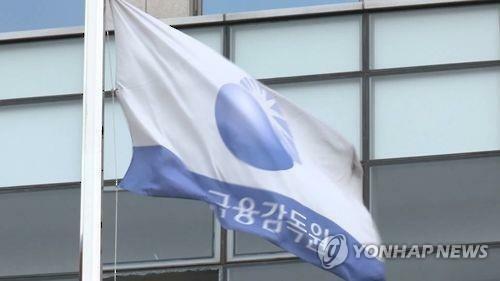 The Financial Supervisory Service made the announcement after conducting a credit risk analysis on 602 companies, which were selected out of 1,973 owing over 50 billion won (US$44 million) to banks and showed signs of financial health problems. The FSS rated the 602 firms in a category ranging from A to D, with A and B being considered financially healthy. It put 19 companies in group D, meaning they should be placed on court receivership. Still, the FSS said it put the country's three big shipyards -- Daewoo Shipbuilding & Marine Engineering, Samsung Heavy Industries and Hyundai Heavy Industries -- in category B, citing their self-rescue plans and their largest shareholders' commitments to normalizing their businesses. The three shipyards have been implementing massive restructuring programs to tide over mounting losses. The FSS said the firms facing corporate restructuring included cash-strapped Hanjin Shipping Co.; financially troubled Hyundai Merchant Marine Co.; STX Heavy Industries Co., a manufacturer of vessel engines and plants; and STX Offshore & Shipbuilding Co. The four companies have already begun restructuring. Earlier this month, the Seoul Central District Court began a rehabilitation process for STX Heavy Industries to prevent the company from being driven into insolvency. STX Offshore & Shipbuilding also went into court receivership in May. South Korea's major exporters, such as shipbuilders and shipping lines, were hit hard by the 2009 financial crisis and their businesses are still at rock-bottom levels. It put Hanjin Shipping and Hyundai Merchant Marine in category C, along with 11 firms, meaning the companies should pursue business normalization by signing workout programs with creditors. The FSS said the combined borrowings by the 32 C and D category companies came to 19.5 trillion won (US$17.4 billion), up 12.4 trillion won from a year earlier. Meanwhile, banks put aside loan-loss provisions worth 3.8 trillion won in the first half of this year. Last year, 54 companies were ordered to go under a debt-rescheduling program or a court receivership as they failed to meet the cash flow, interest coverage ratio and financial health requirements.